I’ve been a very steady customer of Last Bottle Wines (LBW), an interesting and fun wine sale and delivery service. 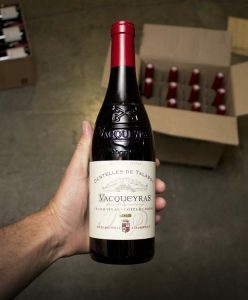 The way it works is simple – you subscribe, and they send you emails–daily–with an offer of a specific wine that is supposedly at a moderate- to deep discount. You set up an account, and if you want what’s on offer, you log in, select a number of bottles and it gets charged and shipped based on your profile into. The good: MOST of the wines have been good, and good value. Their interface is great, and ordering is painless. The packaging is excellent and every one of my orders has arrived in great shape. For a few bucks more they throw in a little cooling packet which is a nice touch and important this time of year. Their emails come like clockwork and the variety is good, including grower Champagnes which aren’t always easy to find vs. the big marques. There tend to be more reds than whites in my experience, but that’s probably just what’s going on in the market into which they tap. And I have bought some good whites from LBW, too. The bad: A few of the wines I’ve ordered have been so bad as to be virtually undrinkable. Much to their credit, they allowed me to return them for full credit but oddly enough the credit cannot be applied to shipping, although that’s not a deal-breaker. And deciding to buy based on, shall we say, “exuberant” Last Bottle Wine descriptions can present purchase hazards. These descriptions are written, as far as I can tell, by 7th graders, hopped up on sugar. Here’s one: WOW! If you love light, characterless wine, DELETE THIS EMAIL immediately! If you happen to love freeclimbing, parasailing, and bungee-jumping, THIS is the wine to get! 92 POINTS, 50% off and a truly thrilling, holy-moly-what-is-this???!! Wine! Now I’m used to marketing-speak, but the folks at LBW take hyperbole and the liberal use of silly analogies to new heights. And I like parasailing and bungee-jumping but not freeclimbing, so maybe I won’t like this? Enthusiasm is great but it’s a bit over the top here, and maybe that’s why they’ve offered some real hits but also a few real misses. I am truly not sure they actually tasted three of the wines I ordered, all of which were terrible. And dealing with LBW folks via email, which is the only way it seems to work, is a bit tedious and frustrating. The Verdict: Overall a very good way to buy wine, but could use some modesty and moderation in describing their wares. Folks, not everything is ab fab, and you’re not giving the stuff away. Wine-Flair Quiz: What Grapes are in Champagne?